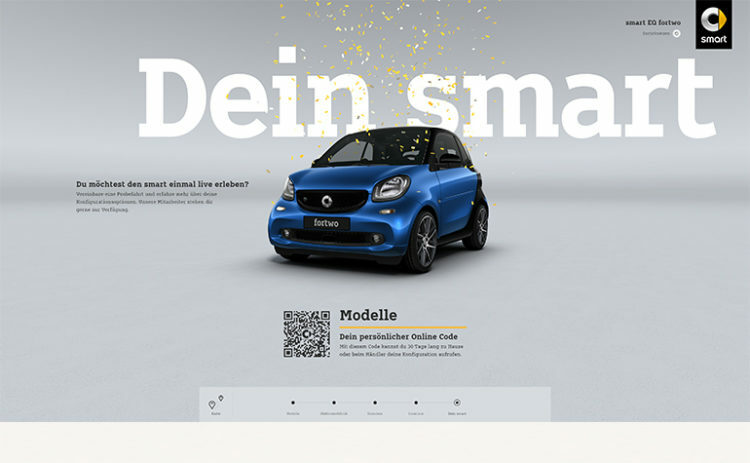 Innovative mobility products deserve an innovative digital retail experience. 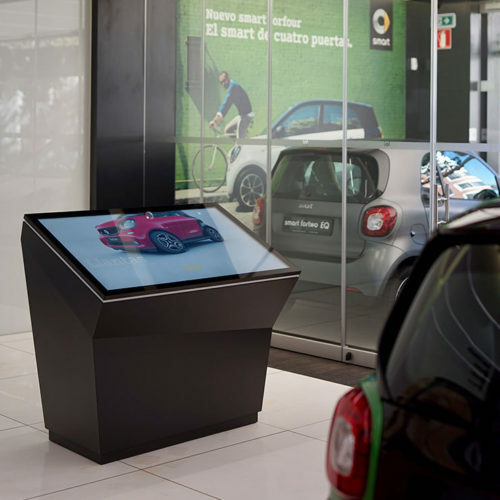 Following this vision, we created and developed smart retail installations in premium city showrooms, at pop-up stores, at road shows and events all over the world. 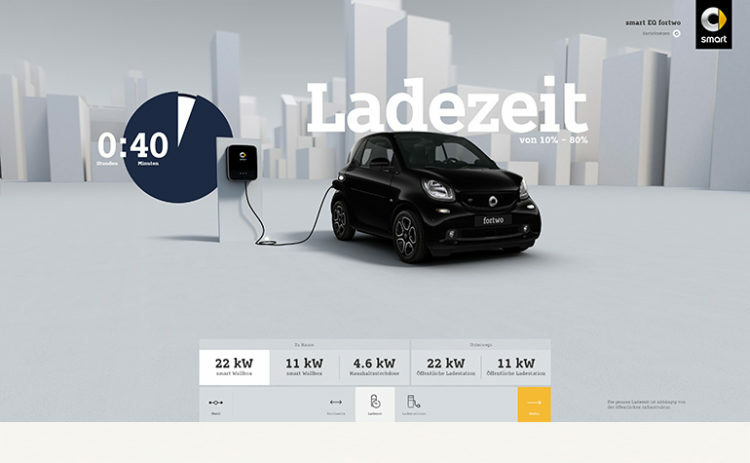 They enable customers to gain insights on product features among e-mobility and all key configuration options. Our vision was to provide a modern digital retail tool – with all the features you might expect. But one that stays true to the brand’s values: urbanity, agility and joy. At the heart of the experience is a modular, cinematic storyline. Developed based on user testings and dealership interviews, it provides any market and location with a simple and intuitive way to modify their specific consulting and sales needs. 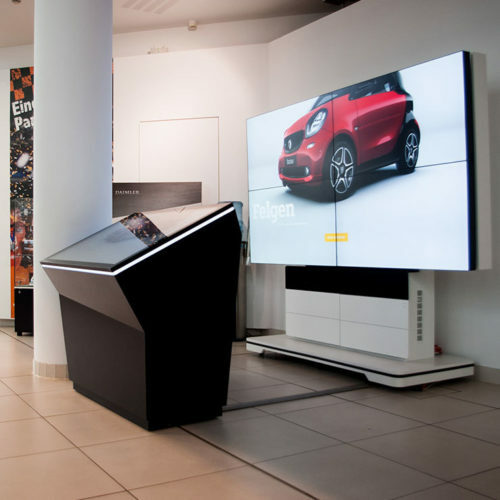 In 2018, the installation was integrated in premium stores in Germany, Italy and Spain. Roll-out in more international stores is up to come. To eliminate maintenance efforts for the dealership network, we built a web-based, decentralized application with a centralized technical service. 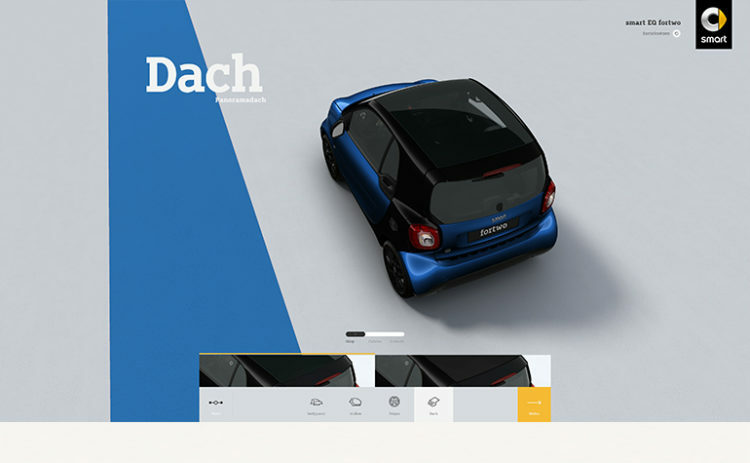 A WebGL based, ultra-realistic 3D car rendering enables fast and seamless updates and very low data volumes – while assuring the highest possible quality and interaction performance. 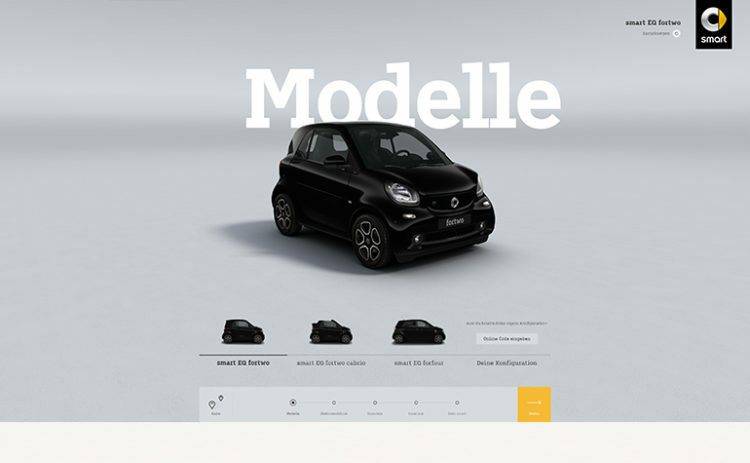 The showroom tool focusses on two user journeys: Customers can retrieve their model preset from former configurations in the web or any store location via a simple code – or start the information and pre-configuration process afresh. 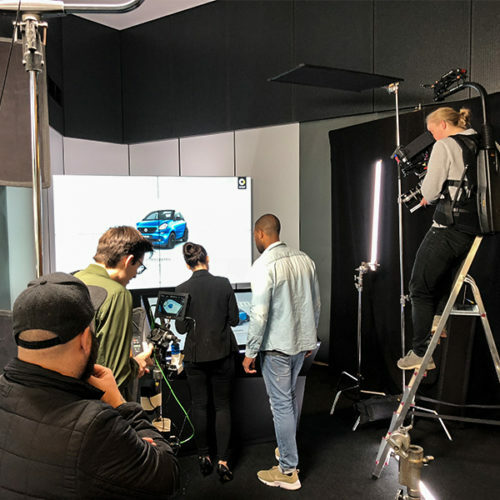 Due to a clear guidance and an intuitive interface, customers can explore the product step-by-step on their own – or guided by sales staff. 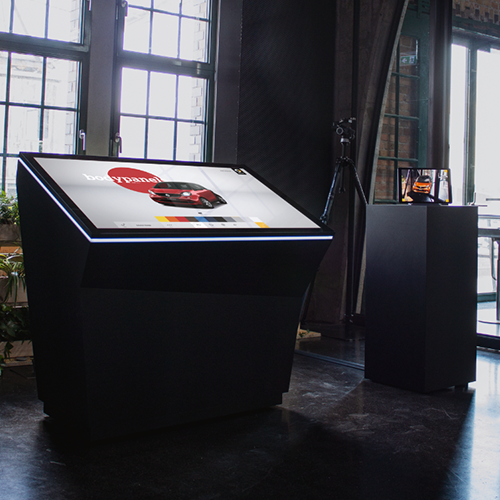 A 55” multi-touch screen – optional enhanced by an attached display wall – ensures excellent usability, even for multiple customers. 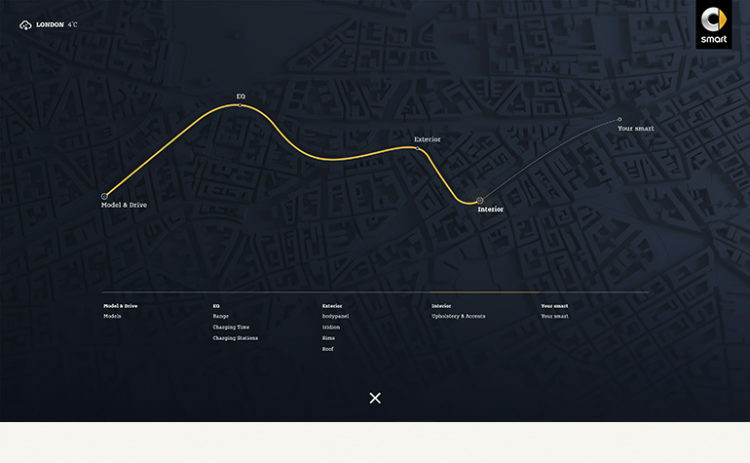 The cinematic storyline approach of the application does not only reflect a journey through the showroom’s city: it offers users a stepwise navigation, based on their mobility needs and compatible configuration options. The modular structure enables markets and cities to prioritize and change their contents based on product consulting and marketing needs. Thus, the consumer journey is consistent with the online environments, yet extended and enriched by meaningful and relevant information at the point-of-sale. 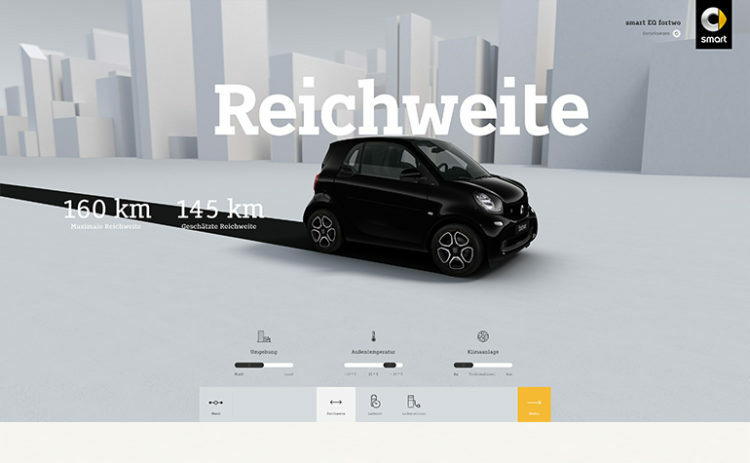 The core application is build in Redux and WebGL, with an ultra-rich 3D canvas that is providing highest product realism and smooth transitions, flawless animations and motion design. The 3D-model is sourced from the very same workflow and configuration system that the web configurator relies on – therefore ensuring updates and core configuration features, such as online code transferability. 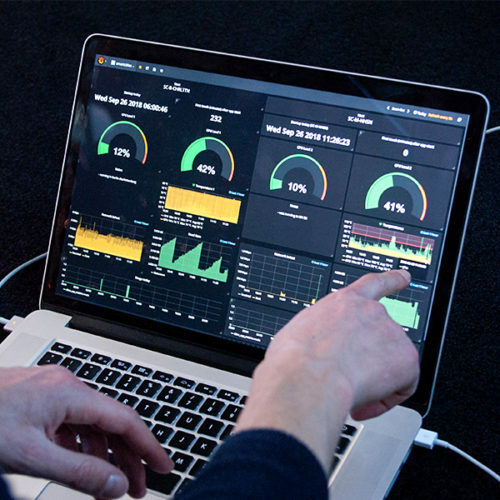 Hosted in a container application, the software starts idle mode and night mode automatically, updates are centrally triggered and analytics are accessible by custom dashboards and comparable beyond single locations. 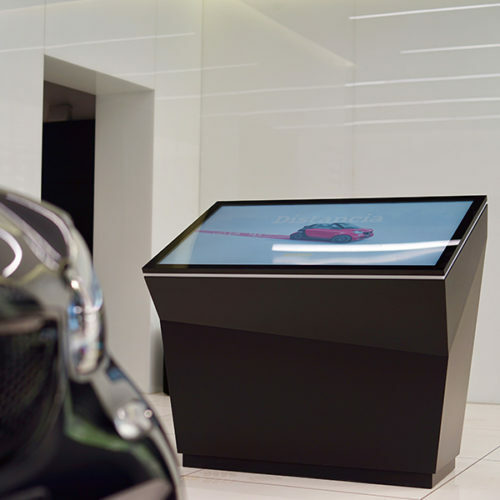 We designed the table to integrate nicely into smart and Daimler store environments. 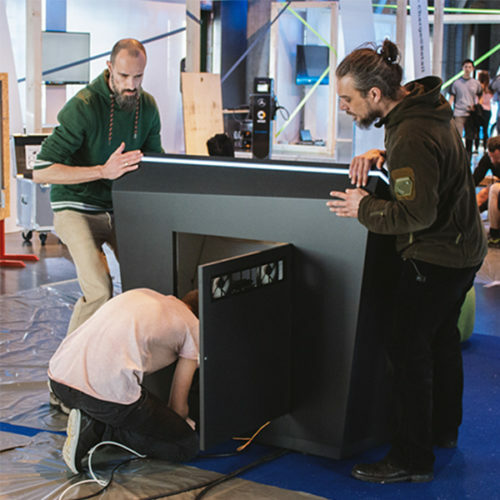 The asymmetrical design with the surround light edge supports the dynamic character of the brand and subtly draws the visitors’ attention towards the digital experience. 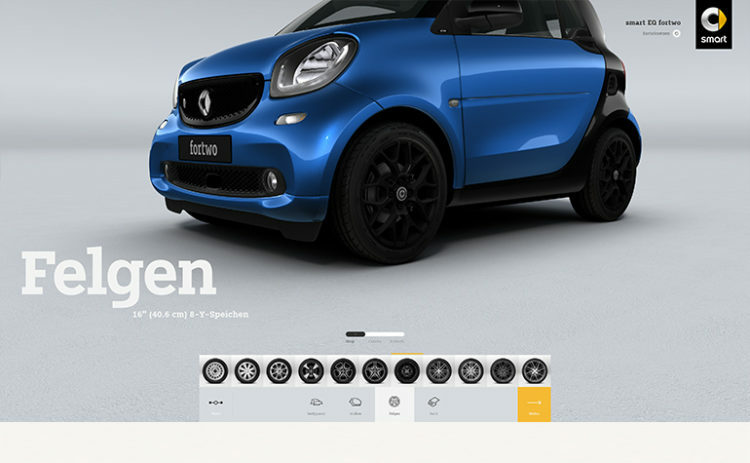 Visual and motion design is putting the product first and provide a meaningful and explicit customer experience. 2D design elements have been used within the 3D environments to add informative value and to create delightful micro-moments. With the first presentation in May 2018 a roll-out journey has started. 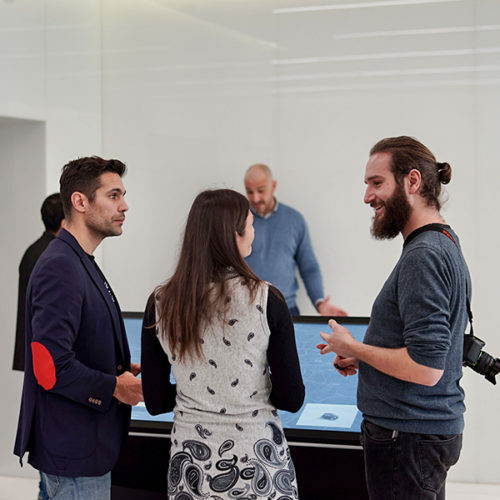 Our team already set-up the retail experience in 11 premium stores around Europe and introduced its functionalities to the local sales personal. 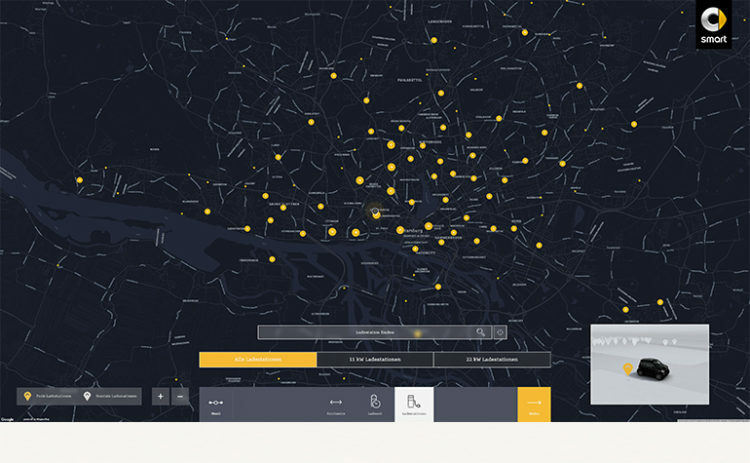 Learning through analytics and customer feedback, the application is continuously being improved and more cities are being added constantly.